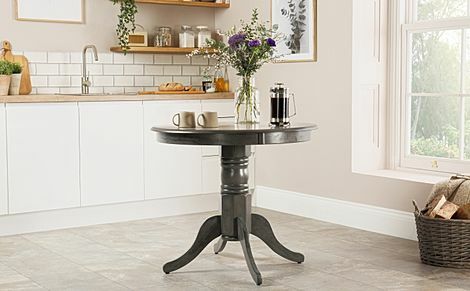 With its solid, curved pedestal base, this round table comes in a modern grey finish that highlights the natural grain of the wood. 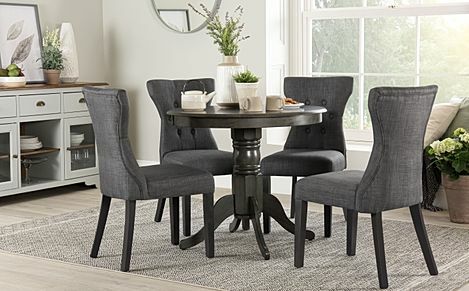 Match it with our Bewley chairs for a dining set with charm and distinction. 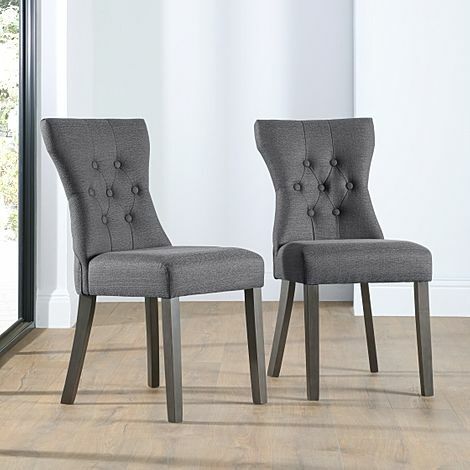 Their trademark curved, button back upholstery matches the table's modern, grey finish; they also feel as good as they look.